The Energizer AP1201 is a permanent power source that extends the life of the iPhone providing nearly twice the power to keep you going. It's the power, protection and style you expect from a brand you know. 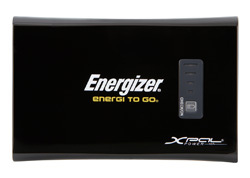 Energizer XP2000 portable charger for Digital Cameras, Camcorders & More! 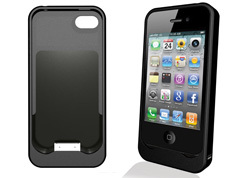 The Energizer® XP2000 rechargeable ultra slim portable charger is guaranteed to provide smart phones up to 1 full charge, and cell phones up to 3 full charges! Great for music or portable gaming devices too. 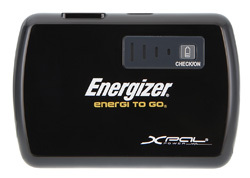 Energizer XP4000 portable charger for Digital Cameras, Camcorders & More! This rechargeable battery is the perfect portable charger for digital cameras and camcorders! Also charges smart phones, cell phones and MP3 players.